Maverick Norwegian yachtsman Jarle Andhoy is in trouble again. According to press reports from Norway and New Zealand over the weekend, the 54-foot yacht steel yacht Nilaya is reported to be sailing off Antarctica with a broken boom and is heading for an unspecified Argentine Antarctic base to carry out emergency repairs and to refuel. 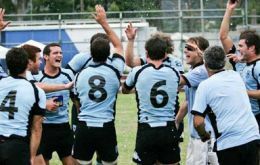 While Brazil's women maintained their perfect record in regional competition, Uruguay's men scored a huge upset by winning their first CONSUR rugby title, beating Argentina in the final 17-14 with a try on the siren. 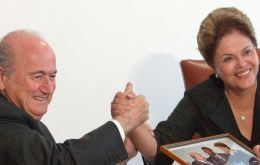 FIFA president Sepp Blatter will meet Brazilian President Dilma Rousseff on Friday to clear the air following the recent spat over preparations for the 2014 World Cup, soccer's governing body said on Tuesday. 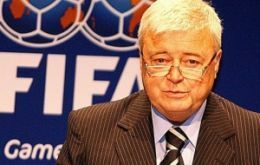 The head of Brazil’s soccer federation resigned on Monday two years before the South American country hosts the World Cup, putting an end to a 23-year career marked by an unmatched championship record over that period and accusations of corruption off the field. He is replaced by his deputy chief Jose Maria Marin, a former governor of Sao Paulo. Samba dancers swathed in orange ostrich feathers welcomed Britain’s Prince Harry to a party on Rio de Janeiro’s Sugarloaf Mountain on Friday. And apparently the fancy footwork was contagious. Morrissey's band performed in front of 15,000 fans in Argentina wearing “We Hate William and Kate” T-shirts, courting further controversy over his stance on the Falkland Islands. 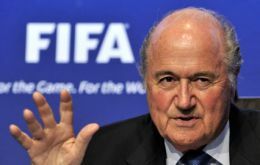 FIFA president Sepp Blatter sought on Tuesday to defuse a war of words between FIFA and Brazil by personally apologising for disparaging remarks made by a top official about the country's slow progress in preparing for the 2014 World Cup.